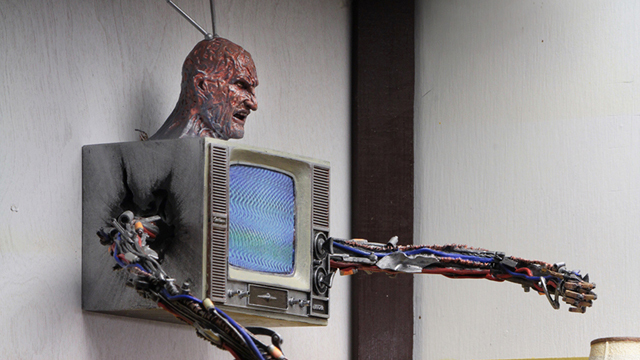 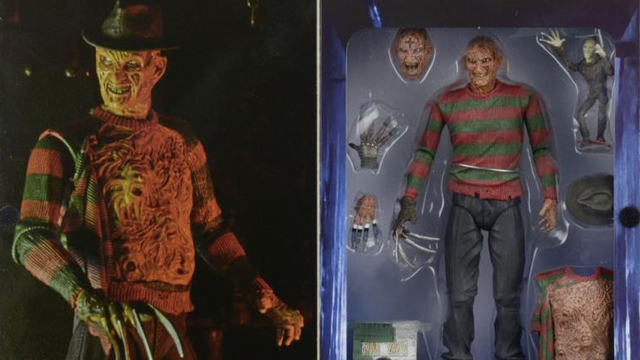 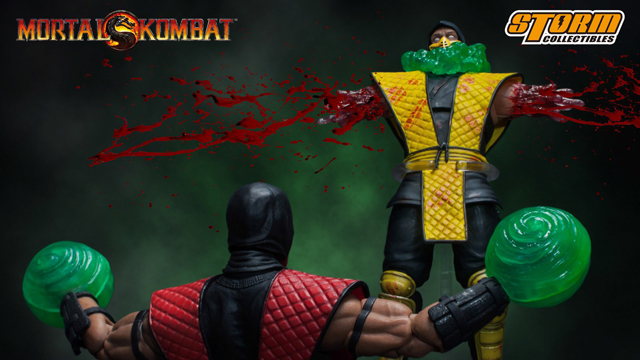 NECA has been consistently stealing the show each year at Comic Con when it comes to action figures. 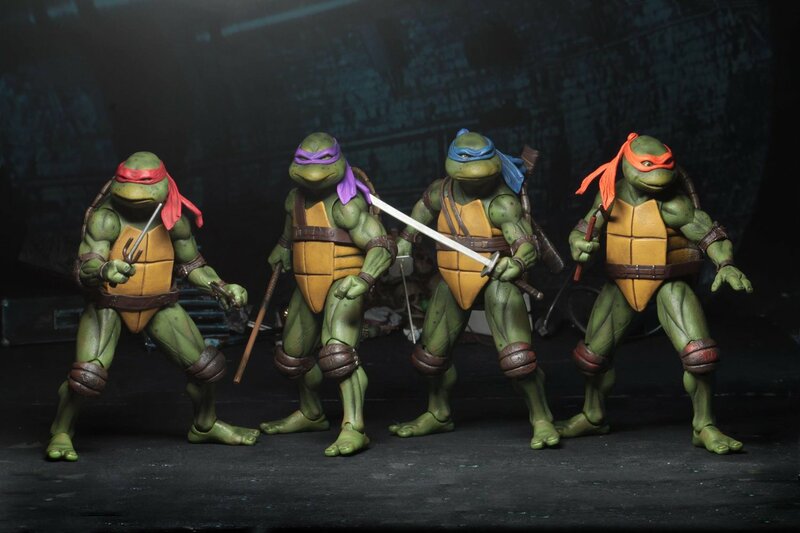 They continue the streak with the reveal of the exclusive SDCC 2018 Teenage Mutant Ninja Turtles Action Figure set. 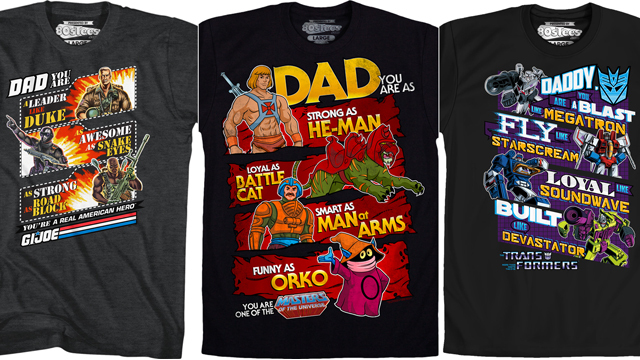 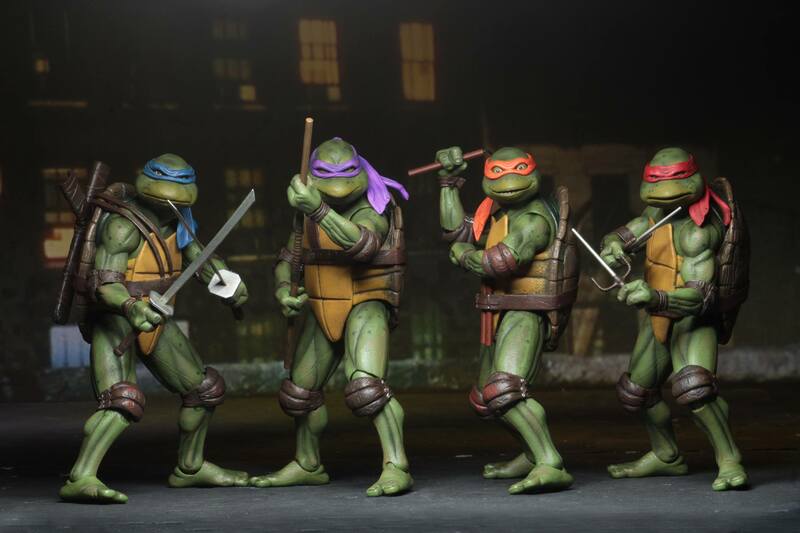 The set is based on the Ninja Turtles appearance in the classic 1990 film. 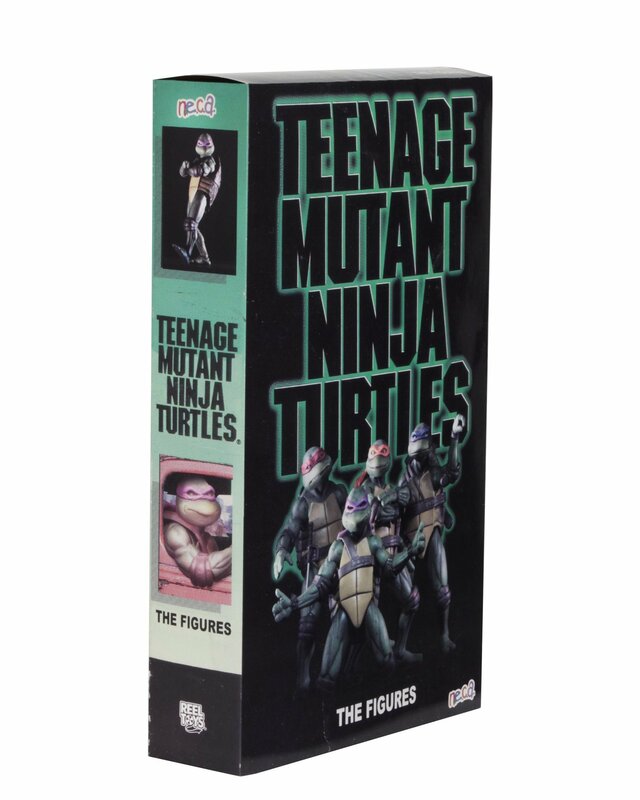 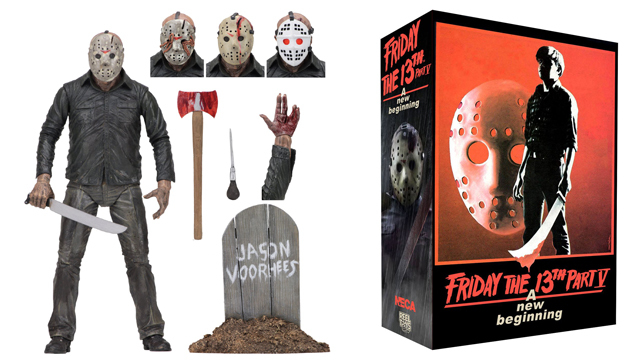 The 4 pack features multiple accessories and comes packaged in a special VHS style case. 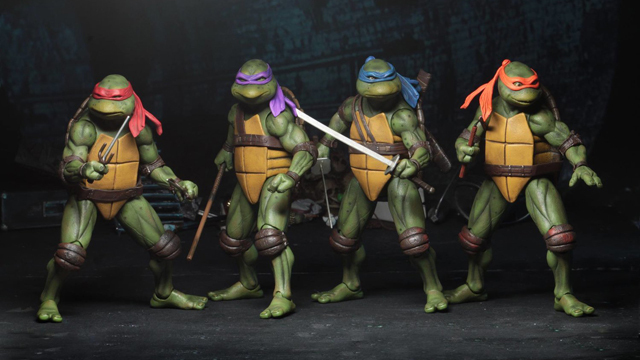 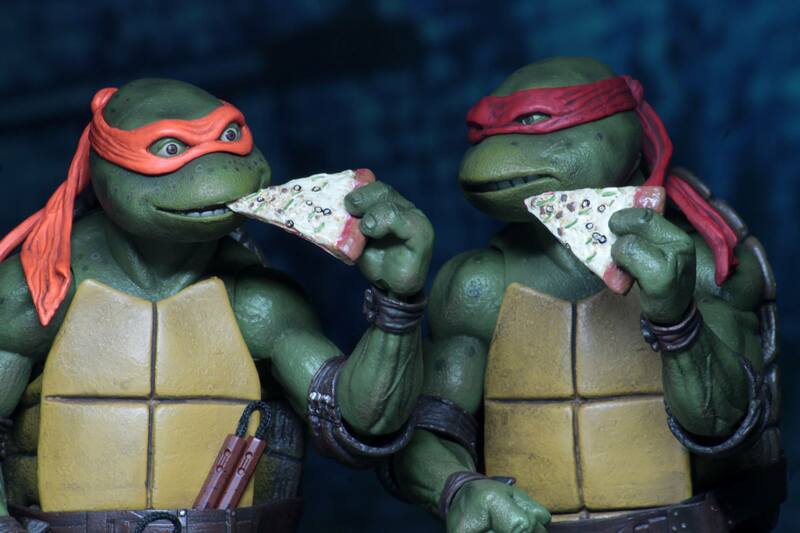 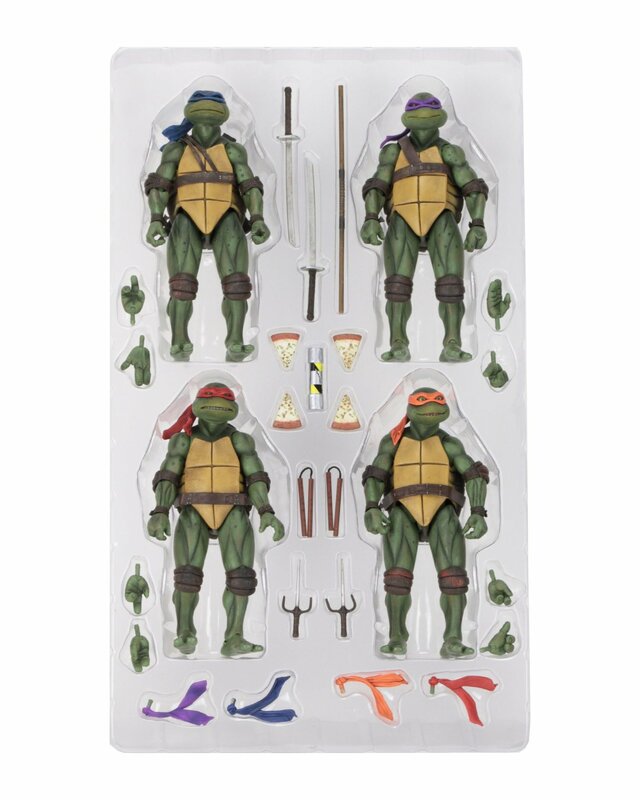 This is the first time NECA has made figures for this version of the Turtles in 7 inch scale. 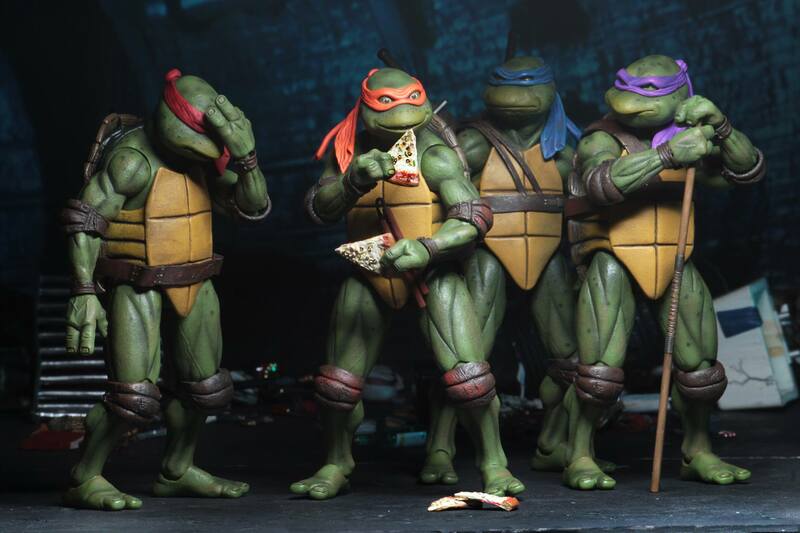 Much larger versions of the figures are currently available. 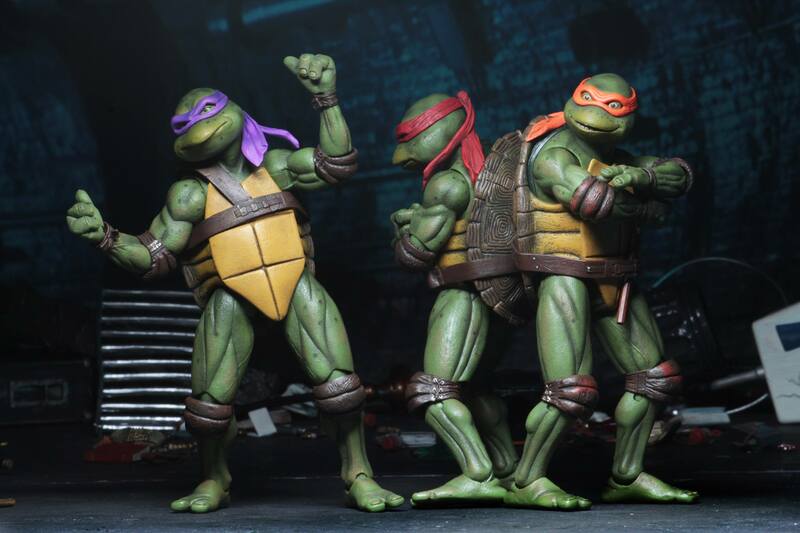 Only 5,000 SDCC sets will be made and they will cost $125. 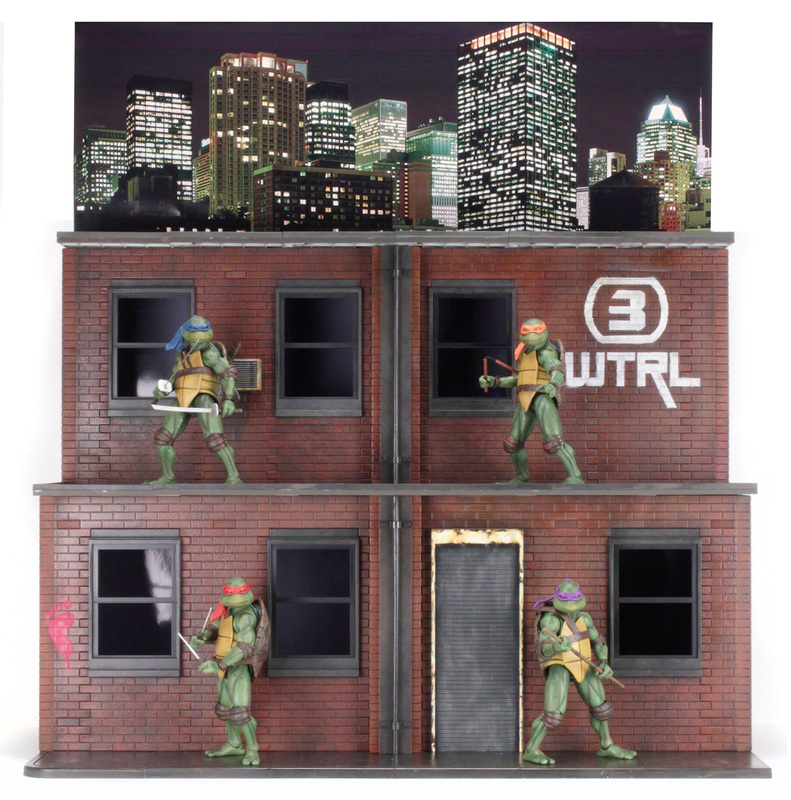 There is also a much pricier version available that includes a massive diorama. 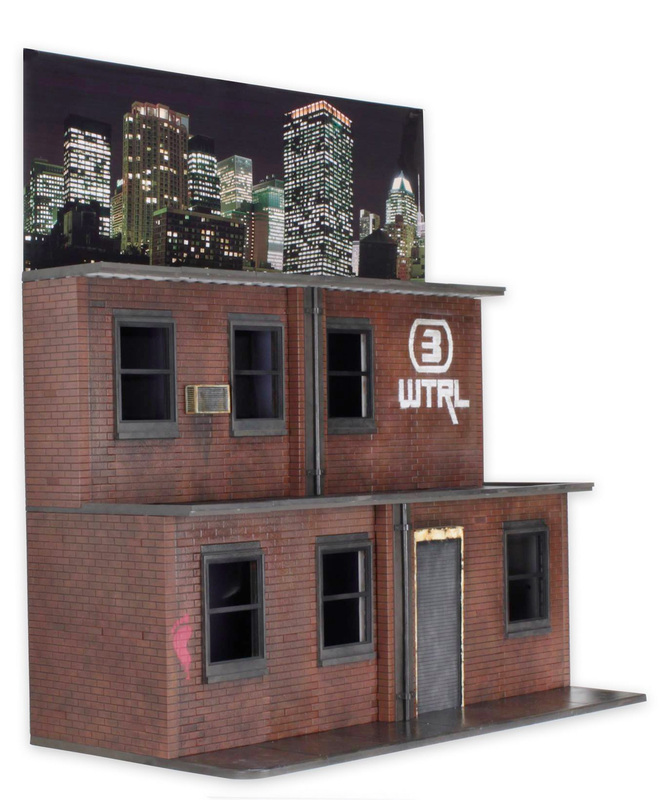 The diorama is over 2 feet wide and 18 inches tall. 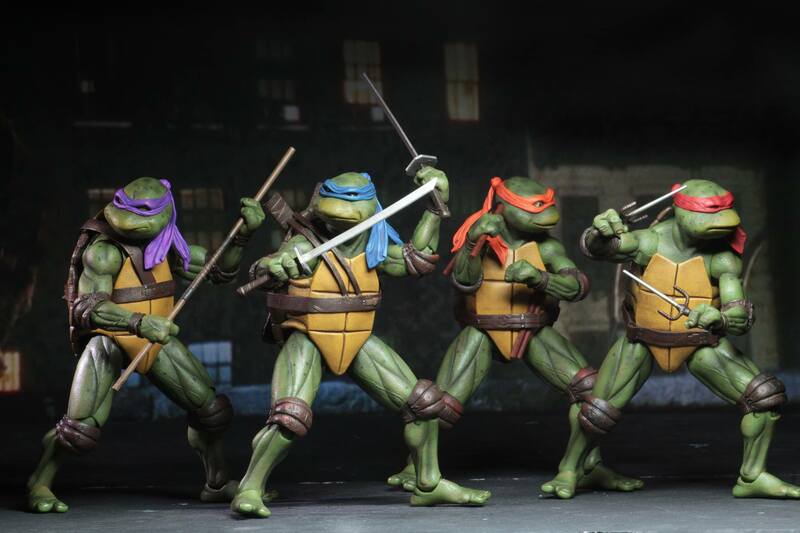 The diorama version is limited to just 2,000 sets and has a price point of $250. 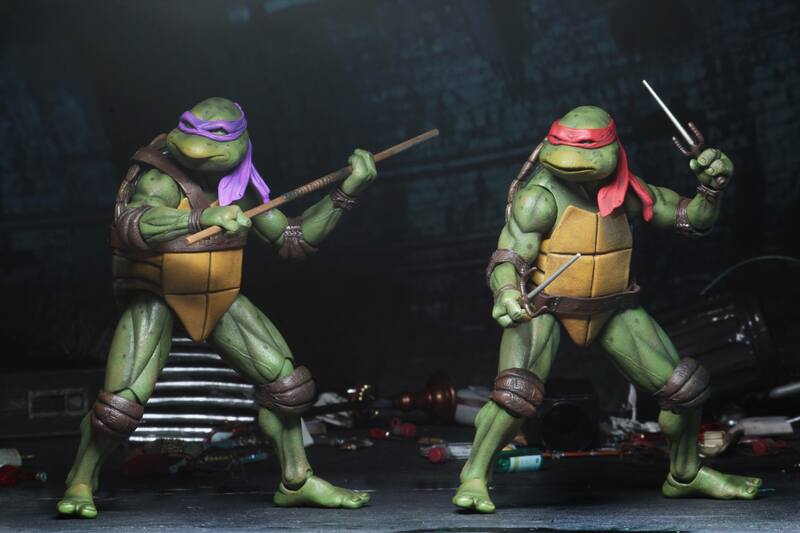 There is an opportunity to order the SDCC NECA Exclusives if you aren’t going to attend Comic Con. 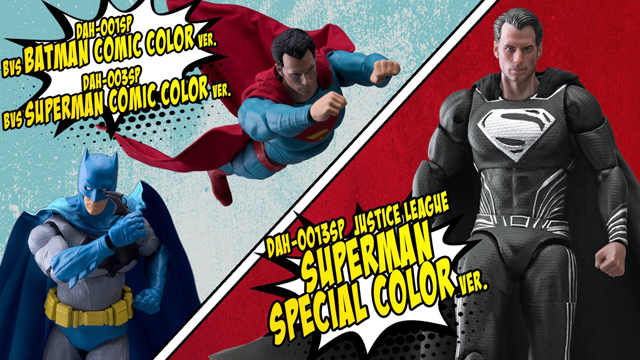 You can find info here on how to pick up a set.